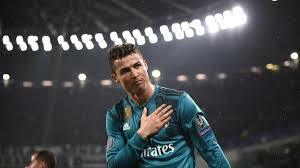 Ronaldo Cristiano Ronaldo has opted to leave Spanish giants Real Madrid for Italian champions Juventus for the next — and possibly final — chapter of one of the greatest careers the game has seen. The shock move by the 33-year-old superstar comes shortly after losing what is likely his last chance to collect the only honour missing from his glittering resume — a World Cup for Portugal. Speculation that one of the game’s greatest players could be up for grabs began when he hinted he was considering leaving the Santiago Bernabeu following May’s Champions League final victory. 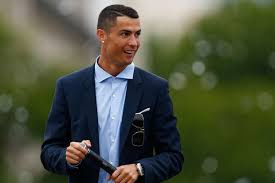 Then the transfer rumour mill went into overdrive after Italian media said Juventus had put in a bid and Spanish sports daily Marca cited reports of Ronaldo looking for a home in Turin. There was little left for Ronaldo, Real’s all-time record goalscorer with 450, to prove in Madrid. He said he had spent nine fantastic years at the Spanish giants. “But I think the time has come to open a new stage in my life and that’s why I asked the club to accept to transfer me,” he said in a statement. Real has topped the La Liga twice and won the Champions League four times during his time there — Ronaldo is the first player to have five, including one with former club Manchester United. He is also a five-time world player of the year, a record he shares with his eternal rival, Argentine talisman Lionel Messi. But in 2016 Ronaldo managed what Messi could not — winning a major international title for his country — when he led Portugal to victory in the European Championships. With both Portugal and Argentina being bundled out of the World Cup in the second round on June 30, it seems likely that the sport’s crowning achievement will elude both partners in football’s greatest player rivalry. Cristiano Ronaldo dos Santos Aveiro was special from an early age. In the year of his 16th birthday, he played for Sporting Lisbon’s under-16, under-17, under-18, reserve and first teams, and two years later he so impressed Alex Ferguson in a 2003 pre-season friendly that the then-Manchester United boss snapped him up. Six years, three Premier League titles and a Champions League later and he was on his way to Real Madrid, having joined George Best and Eric Cantona among the greatest players to wear United’s prized number 7 shirt. Bought for a then-world record 94 million euros, Ronaldo more than paid back his fee, and while Barcelona continued to mostly dominate La Liga, he has become the king of European competition. He was the first player to score 100 Champions League goals, and topped the competition’s scoring charts six times. The 17 goals he scored as Real beat local rivals Atletico to the 2014 title remains a single-season record. He finally got the international m onkey off his back with the 2016 Euros win after a lifetime of near misses and flattering to deceive on the world stage. In beating the heavily-favoured hosts France in the final, he broke yet another record — his three goals made him the first player to ever score in four European Championships. Ronaldo also became only the fourth player to score in four World Cups when he started this year’s campaign with a hat-trick against Spain that culminated in a stunning free kick.